I have recently came across a great new rig for using a fish finder on a kayak that offers no drilling or glueing of your Wilderness Systems kayak, and only a little altering of a kayak of any another name. To get started you will need a few items. I like to use top quality stuff and will recommend the best products to use for this. You can feel free to substitute products bases on prices. Most of this is available from the HOOK1 store and the rest is soon to be available from them as well. 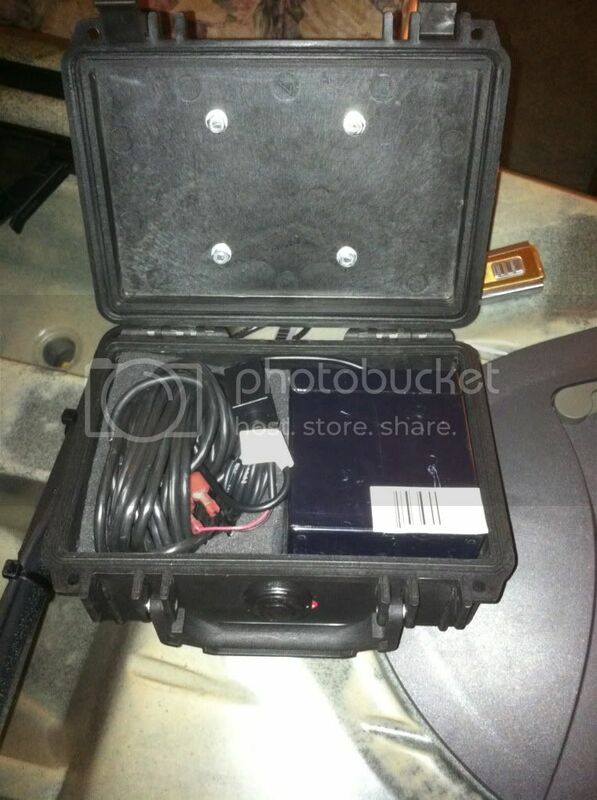 1 Pelican box type 1120 with at least a 5�5 piece of foam. 1 Wire seal set (these are around a 3/4 inch hole with washers and threaded for tightening). 1 12 volt 5 ah battery (this one fits in the box perfectly and allows room for wires and battery). 8 Bolts, nuts, washers of your choice, I used 8-32�1-1/4 bolts with their nuts and washers. 8 medium size zip ties. 1 Dremel with metal saw. 1 Power drill (drill bits for the size bolts you�r using and the wire seal). 1 Socket wrench with multiple fittings for the nuts you will use. Optional, however a HOOK1 hat is proper! Your first steps are to do a layout of the way you want your box to be. I set mine up with the wires going in the back of the box so I had to dremel some of the plastic off for it to be a smooth surface. My box is also set up for the left side of my kayak. The reason that it is left side specific is because the arm is on the left side of the box. If you want it to be right side or switchable use the middle or right sides of the box, the other option would be to simply turn your box backwards so that the opening is facing away from you (this is the way I made mine). Be sure to attach the arm with space for the wire housing so that you do not put them too close together, also be aware of the space the wire housing needs to be able to tighten, don�t place the hole too near an edge. 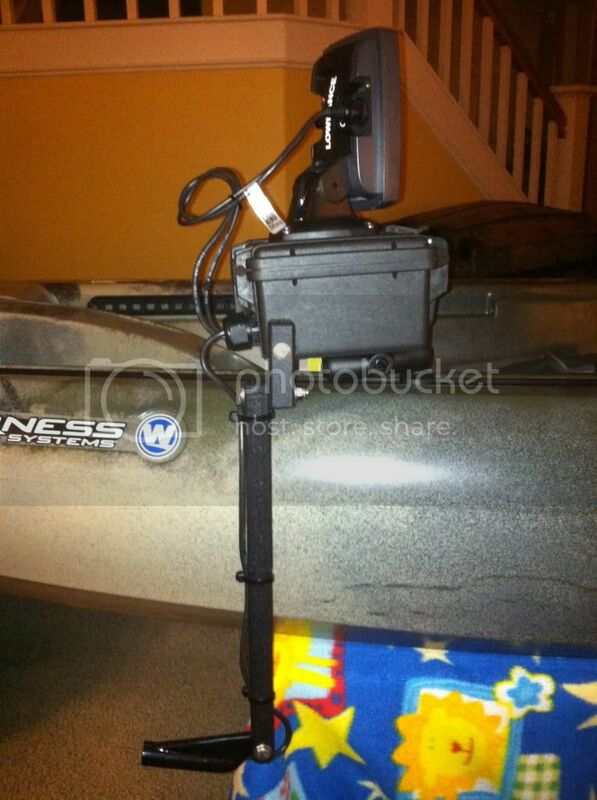 Your next step is to drill the holes for fish finder and ram mount to be secured to the box. The bolts I used were a little long and I used my Dremel to cut them to the edge of their nuts. 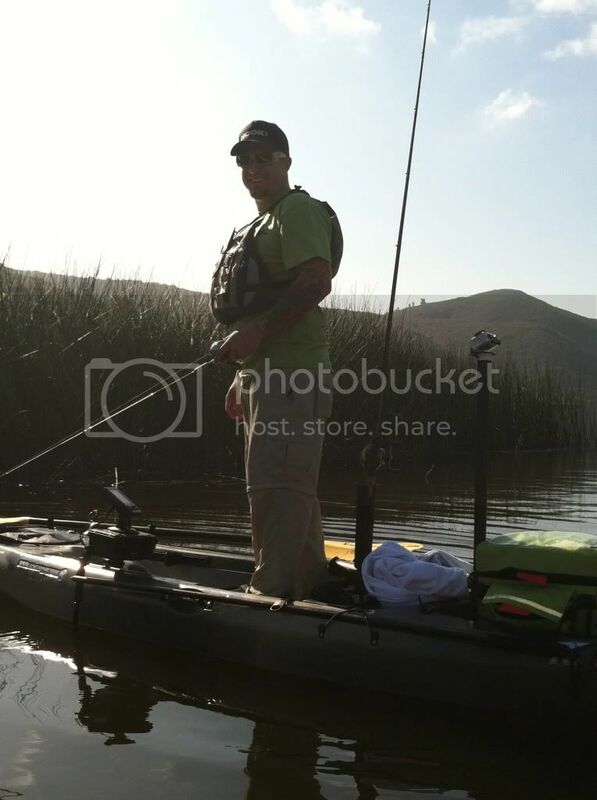 On the lid, secure the fish finder with 4 bolts. 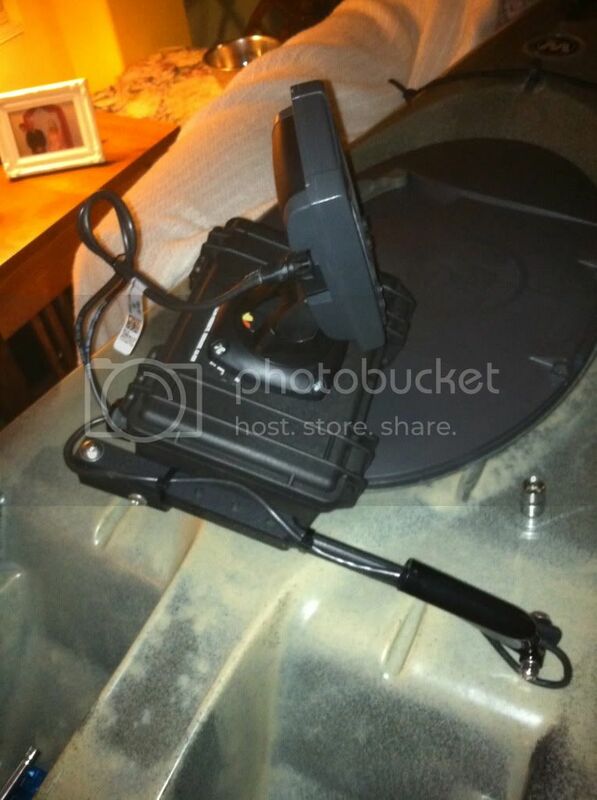 On the bottom, secure the Ram mount base that you would normally attach your fish finder to with 4 bolts. Next you will run the wires to the inside of the box, this is easily done by pulling part of the middle of the cables into the hole. 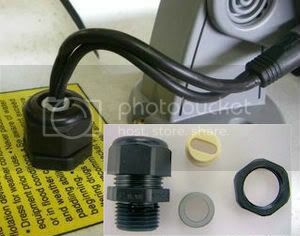 Don�t forget to place the wire through the exterior nut and white wire washer that it comes with before threading through the bolt that goes through the box (warning, the waterproof wire seal comes with a washer inside of it, it is black and hard to notice at first, remove it and place the white washer there). Thread enough wire through so that the only stuff left outside the box is what you need for your device and transducer to reach the bottom of the transducer arm. Zip tie the extra wire and use the foam to keep it in place and padded from the battery. This is shown in the second photo. You will want to zip tie the transducer wire to the arm and bolt the transducer to the bottom. The Transducer arm comes with the required bolts and nuts. I also zip tied a loop in the wire that connects to the fish finder itself for extra play without it hanging. Place the Yak attack Screw Ball in the rail system, and connect your Ram arm and your ready to plug and play! Nice option. Have you used the scupper mounting system for transducers?